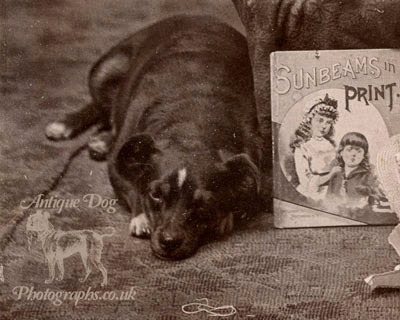 This has to be one of the most charming photos in my collection. 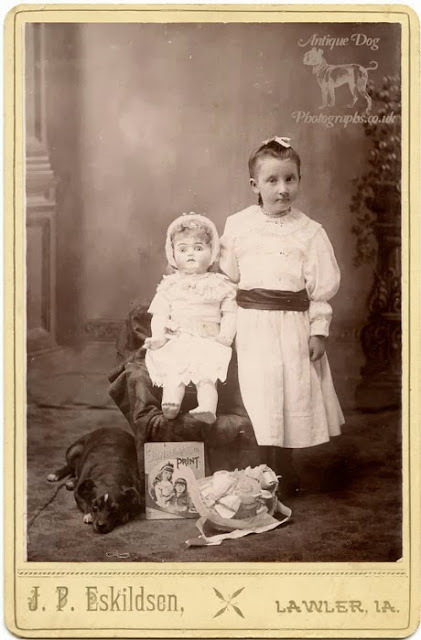 A little girl proudly displays her most precious things - her doll, her bonnet, a favourite book, and last but by no means least - her dog. 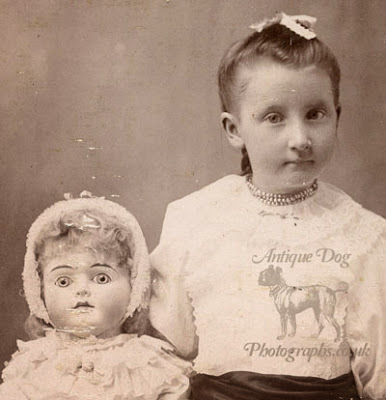 Celia (the doll) will be a year next Christmas. The photograph was taken in Lawler, a small township of Chickasaw County, Iowa, USA. The population of this tiny town has changed little since the 1880s, when the population was 487, to the latest census data from 2010 which put the population at 439. You can image when Myrtle had her photograph taken she would have had lots of close family and friends in the town who would have enjoyed the photo, including Hilda. 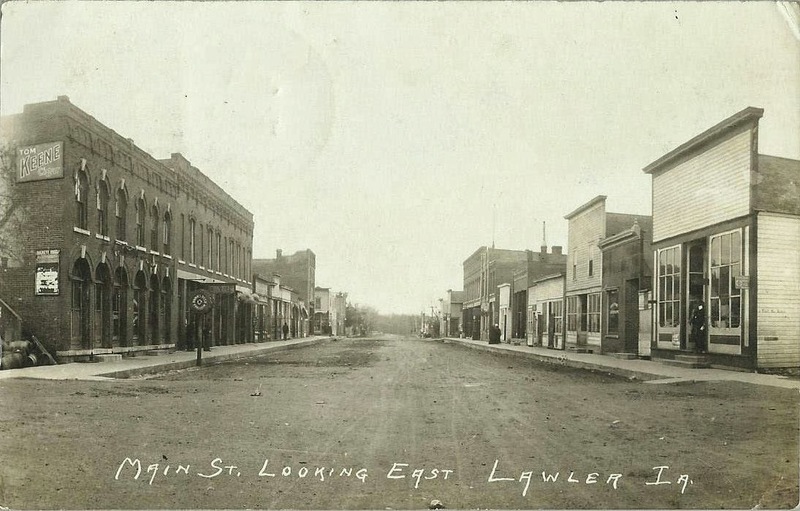 1907 Postcard of Lawler, showing Main Street, looking East - click the image for a larger view. The photographer was John P. Eskildsen. John was born in Denmark and emmigrated to America in 1887. On the 11th of June 1891 he married Emma Schlatter. Her parents were also of European origin, with her father Henry born in Switzerland and her mother Mary born in Prussia. Emma however had been born in Iowa. John officially became a US citizen on 14th of May 1895. In 1920 aged 54 he was still working as a photographer, with his two of his children - Herbert & Edna - working at the Studio with him.